Do any of you remember the tongue in cheek Youtube video from a few years ago titled “Put a bird on it”? It was in response to the trend at the time of putting bird motifs on everything from wallpaper, fabrics, pillows, home accessories and even personal items like jewelry and handbags. Well, when it comes to design we cannot leave out hardware! Throughout the years Martin has carved many different birds for custom orders. 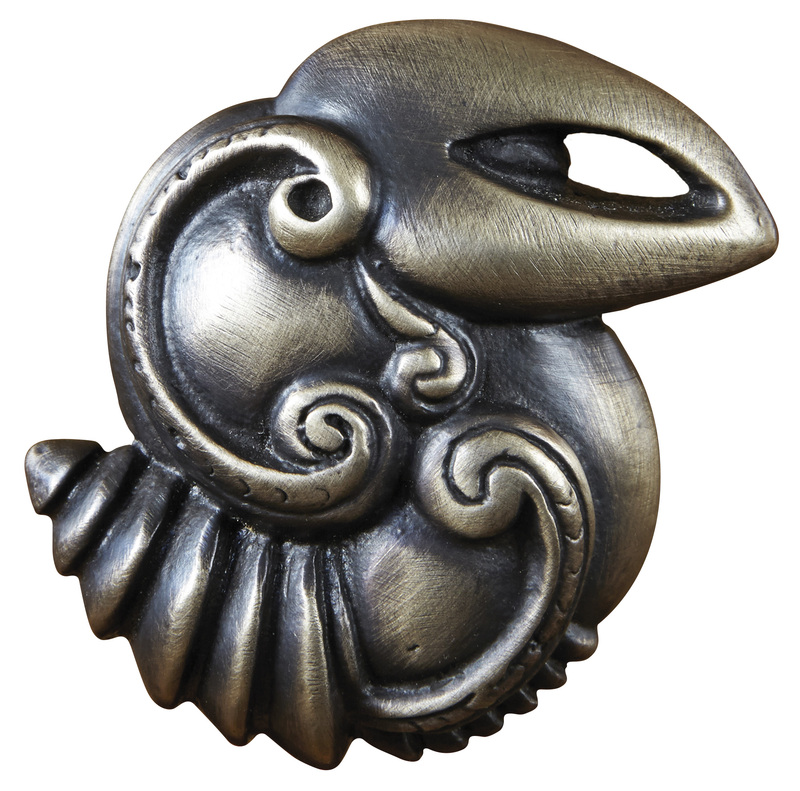 We have spoken often about the bird designs we offer in our collection of architectural hardware and recently we shared the swallow pull that was inspired by the migrating birds of San Juan Capistrano. But we also offer other bird designs as seen below. 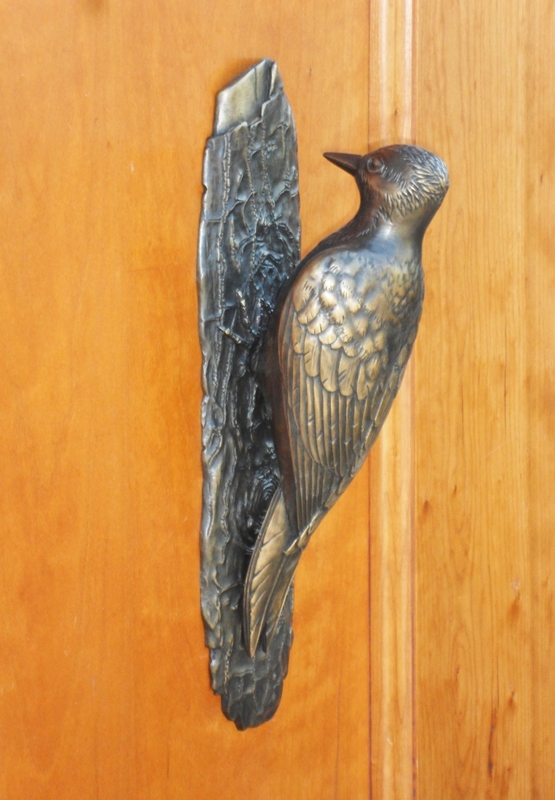 This beautifully detailed woodpecker door knocker provides an elegant way for your guests to announce their presence. Bird motif hardware would be right at home in many different retail and hospitality establishments or perhaps your client’s logo includes a bird. We designed this stylized Hawaiian bird knob for a hospitality project in Hawaii. This entry was posted in Uncategorized and tagged architectural hardware, bespoke hardware, custom bird hardware, custom door knockers, woodpecker hardware. Bookmark the permalink.